You are here: Home / Food / Reese’s Homemade Peanut Butter Cups and WOW are They Good! Reese’s Homemade Peanut Butter Cups and WOW are They Good! These homemade peanut butter cups are ridiculously easy to make and can be made with dark chocolate, milk chocolate, or white chocolate. Let’s get started making these “knock-your-socks-off” treats! I am very impressed with myself right now. My husband isn’t a big fan of sweets but the peanut butter cup is the exception. No cooking is required for this recipe so that means we can ALL make a foolproof Reese’s peanut butter cup at home. Oh, happy day. When my husband called me and told me about his horribly stressful day, I made a batch of these homemade peanut butter cups as a treat for when he got home. Because I’m awesome like that. Kidding. Not really, I’m seriously awesome. 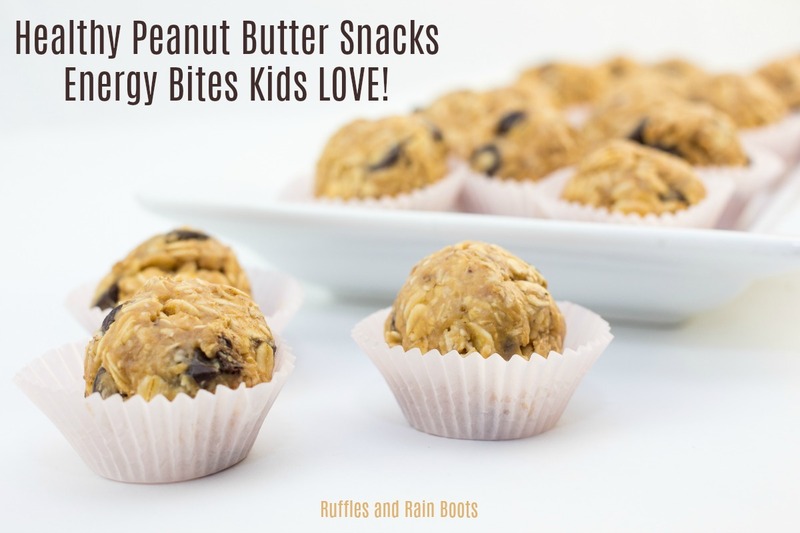 If you love peanut butter, check out these easy and healthy peanut butter energy bites the kids just can’t get enough of! I don’t even like peanut butter much (I know, it’ completely unfathomable) and these are tasty. They were also very easy and quick to put together. 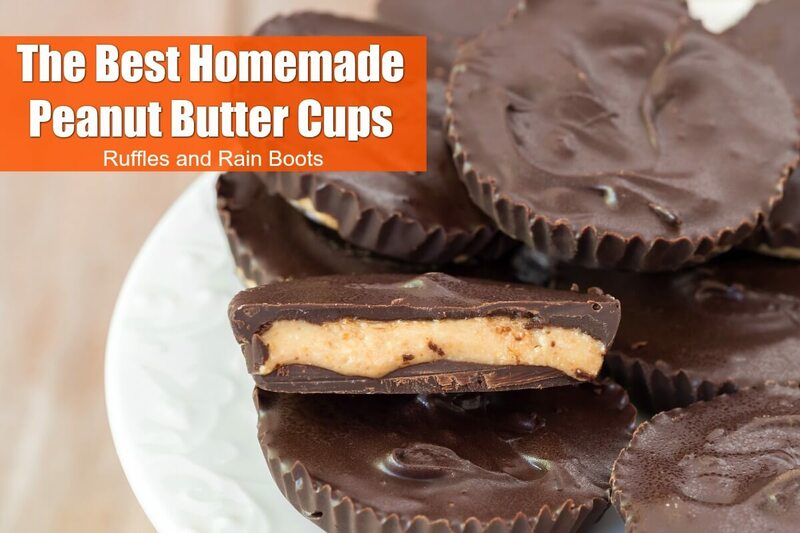 You don’t need much for these homemade peanut butter cups. One thing you’ll need are cupcake liners and a metal or silicone mold. It can be a mini muffin tin, a regular cupcake tray, or any silicone mold (my daugther is partial to Hello Kitty). 4 teaspoons butter, melted or melted nearly all the way – it doesn’t have to be perfect! 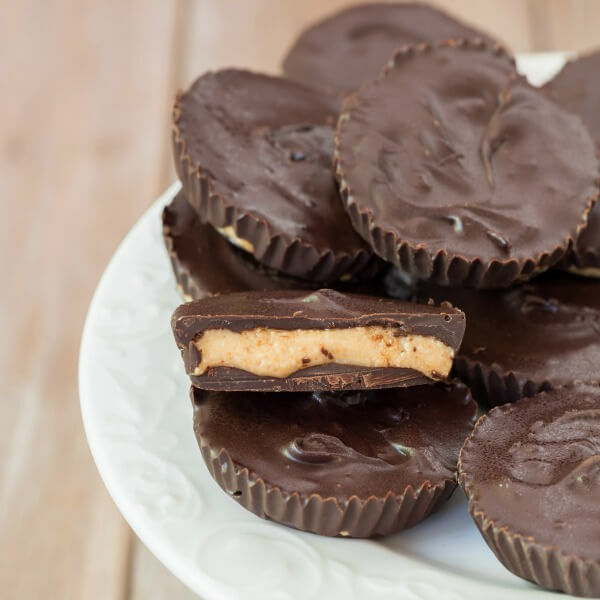 These homemade peanut butter cups are ridiculously easy to make and can be made with dark chocolate, milk chocolate, or white chocolate. Make the peanut butter mix by combining a half cup of peanut butter, melted butter, salt, and confectioner’s sugar in a bowl. Make sure it’s creamy. Next up, melt all the chocolate chips (combine them) along with the peanut butter. You can do it in the microwave (first for 1 minute, then 20-second intervals until melted) or over a double boiler. Stir repeatedly to incorporate. Once the chocolate mix is melted, it’s time to assemble the homemade peanut butter cups. Coat the bottom of the mold (it will take between a teaspoon and tablespoon of the mix, depending on your mold). Next, spoon a bit of the peanut butter mixture into the cavity and then layer another set of the chocolate mix on top. Chill in the fridge for an hour – the longest hour of your life, friends. Are you drooling? 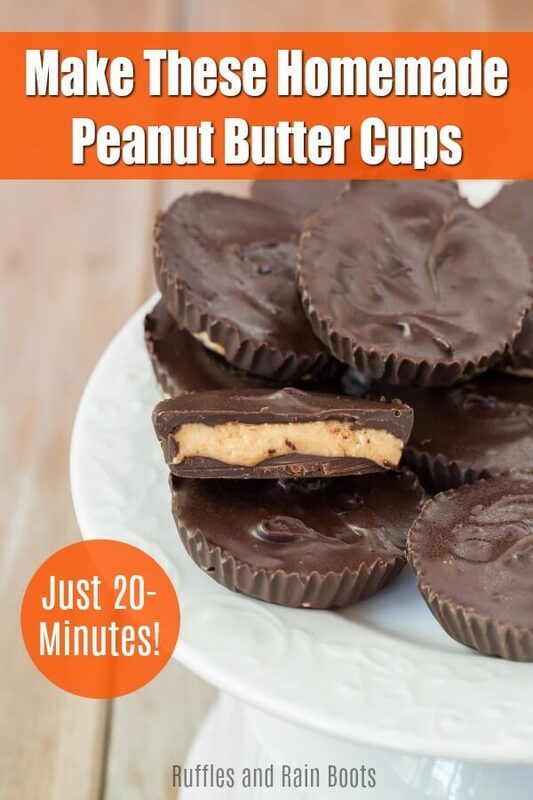 Ugh, I am just thinking about these homemade peanut butter cups. They were gone in a flash so I might just have to whip up another batch. Please pin this to your favorite homemade treats board on Pinterest or better yet, share it on Facebook. I love that it will remind you, year after year of your shares. I am for sure trying these out. They look so yummy. My hubby, the neighbors, and some friends sure enjoyed them. My mother-in-law even made them.